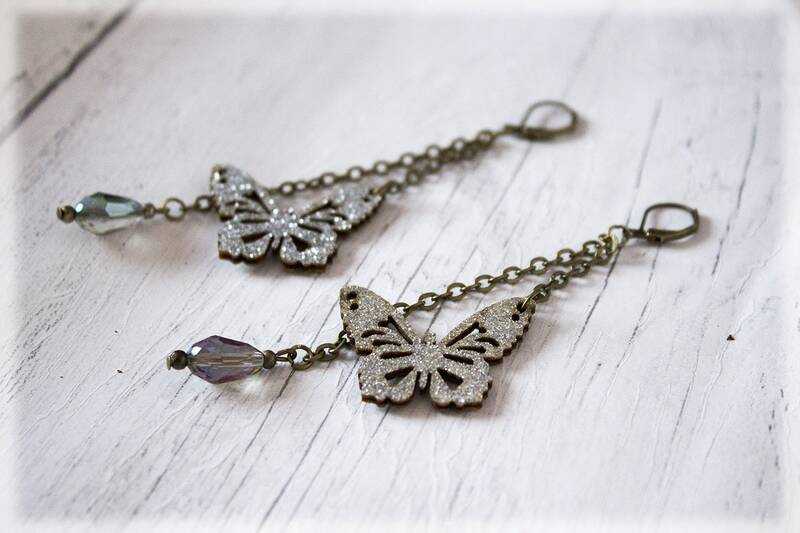 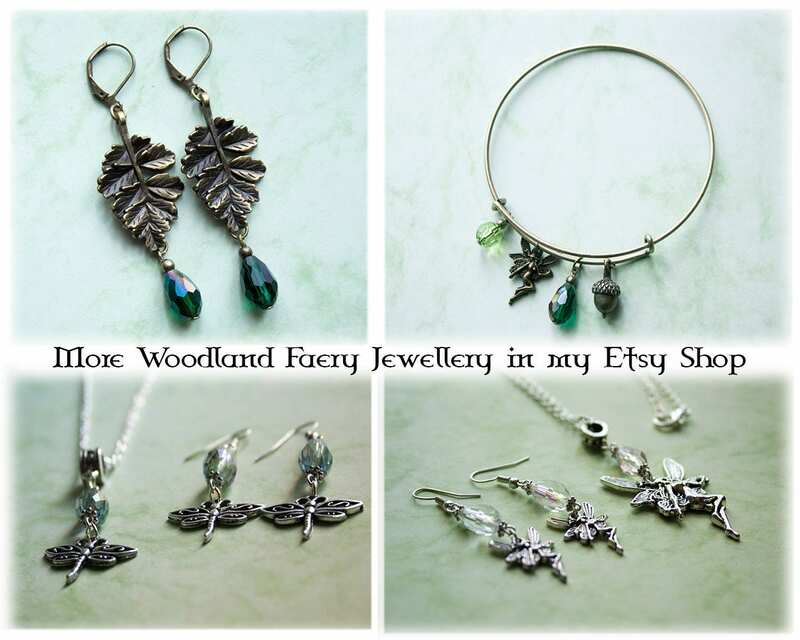 Enchanting woodland themed small glittery butterfly dangle earrings hand crafted in my magical faery studio. 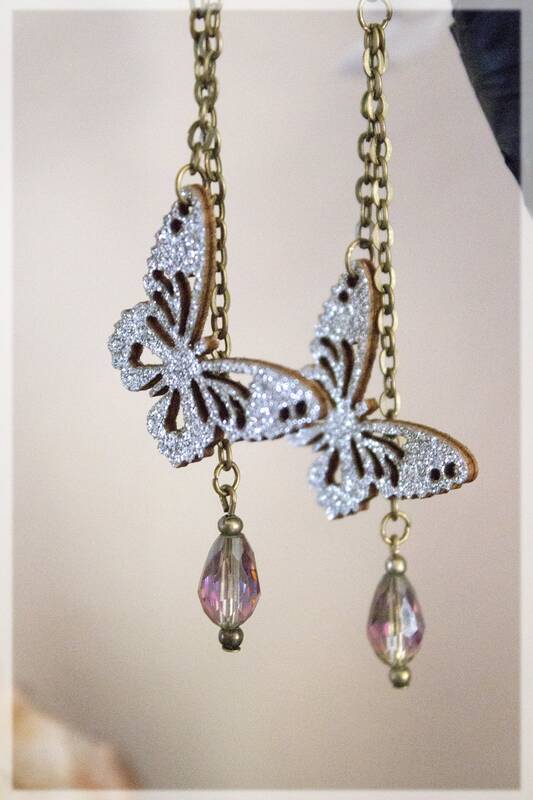 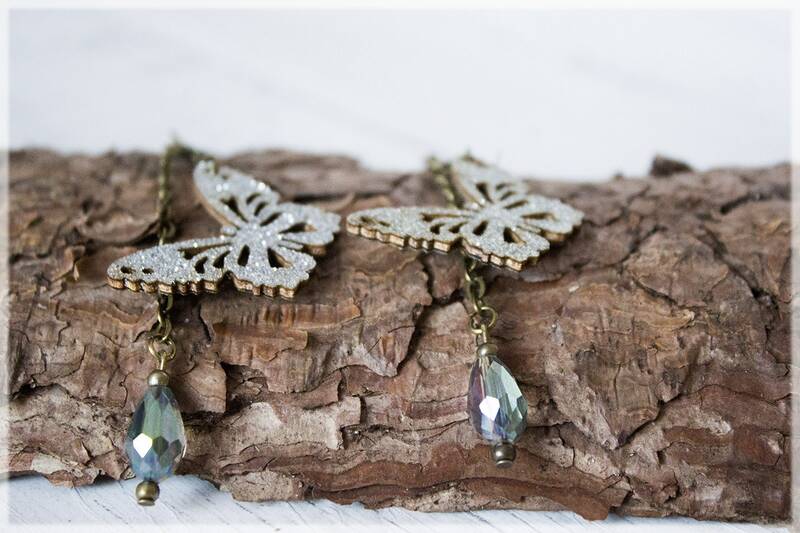 These magical woodland inspired earrings, feature a wonderful small wooden glittery butterfly and small glass faceted sparkly bead. 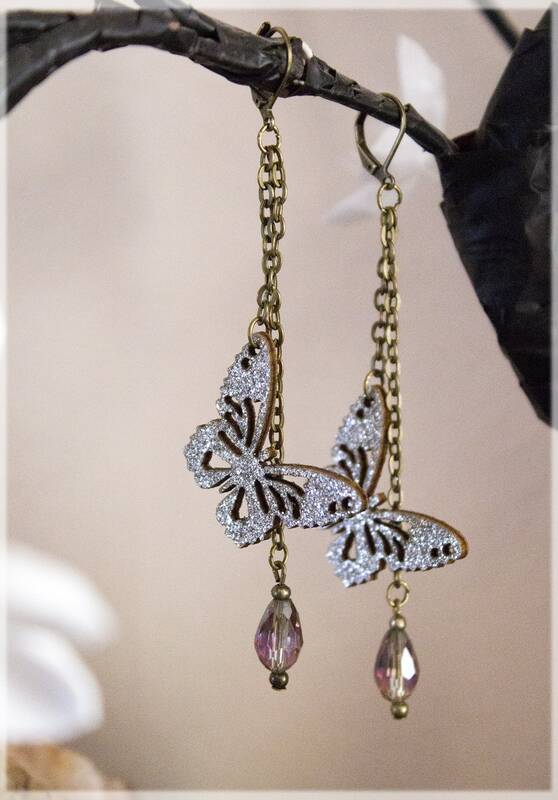 The dangle earrings have a lever back clip earring for ease of opening. Inspired by the wonderful fluttering butterflies...and of course the magical faeries that fly with them.